For example, when an extrovert, who typically not only loves to talk but also learns through conversation, talks to an introvert, who does not like to talk and learns by mulling things over in his/her mind privately, s/he can flood the introvert with too much information. The person who is being overstimulated can come across as disinterested or not paying attention or even irritated when, in fact, his/her circuits are simply overloaded. Fortunately, there are some simple tips to overcome this processing mismatch which help avoid confusion and conflicts. 1) Be aware of differences. Not everyone thinks or processes like you do. 2) Know what you are. 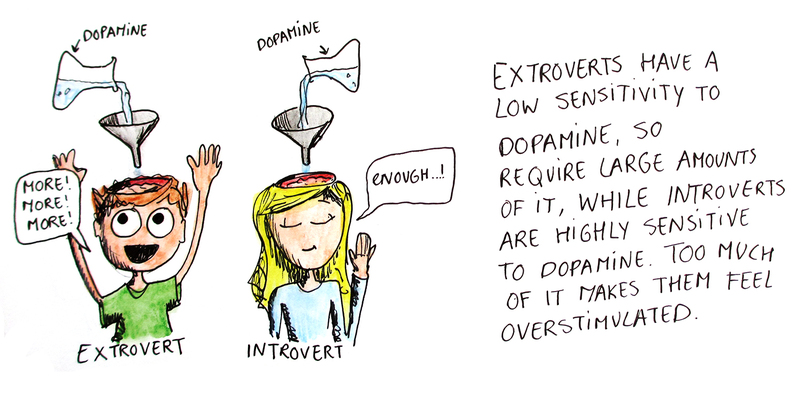 Are you more Extroverted or Introverted? Be considerate and think or write about what you want to say before actually saying it. If the communication is important you may want to send a written summary of your thoughts to the other person in advance so that they may have time to process and digest the message. Be aware of becoming overwhelmed before you reach your limit and let the other person know that you need a break to think things over before continuing. With a little practice, assertiveness and consideration, you will find that folks with whom you used to have difficulty communicating are no longer a problem. Knowing your own information-processing style and respecting folks whose style is different than yours can go a long way to improving the way we talk with one another and get along.